That's probably not the first time you've heard that (and it won't be the last). As an affiliate marketer, list building is an important and very profitable activity — one that's definitely worth your time. Email marketing is one of the most powerful methods of online marketing. If people trust you enough to let you into their inbox regularly, you have a captive audience that is willing to listen to (and interested in) what you have to say. Almost every one in your audience probably has an email address, even if they're not on Facebook. By getting a hold of their email addresses and communicating with them on a regular basis, you are able to build up a relationship with them. Once you establish trust in this relationship, you're only a couple more steps away from being able to sell them your offers. Because they trust you, they will buy from you. So today I want to talk to you about some list building strategies that will help boost your subscription rate, which will eventually lead to more sales. But first, let me answer some basic questions about building lists for all our affiliate marketing newbies. List building, at its most basic, is the process of collecting names and email addresses of people in your niche. Basically, you are trying to create a mailing list of interested customers/potential customers, to whom you can send emails. An email marketing/lead capture service (also known as an autoresponder). This is the service that will securely store the details of your list, and then allow you to send out emails. Sendmail is a great example of an email marketing service, and you can try it for free — it's also really user friendly. A squeeze page or opt-in forms on your website. I can almost guarantee that you have encountered a squeeze page or opt-in form in the past. If you've ever been asked to enter your name and email address for access to an e-book, report, newsletter, or other content, then you'll be familiar with this concept. If you're confused, then check out this simple squeeze page. How Does List Building Work? People see these offers, decide they want them, and sign up! I hope that's allayed any fears you might have about email marketing being too complex for you to get into. It's not. But Sam, Why Would I Want to Build a List? It's true that you don't need a list to make money online. In AffiloBlueprint v3 (check it out for yourself here), Mark states that he doesn't build a list in every niche he enters, especially if the niche is "time sensitive". However, the niches in which he does build lists always generate more profit. The biggest reason for list-building is that it minimizes your chance of lost sales, while increasing the chances of making repeat sales. Let's say a visitor comes to your site, reads a product review, and then leaves. There's no guarantee they are going to come back and purchase from you! Unless you are targeting keywords with high buyer intent (for example, "Buy XYZ Widget"), it is difficult to convert cold traffic when you've only got one opportunity to make a sale. Now imagine that instead of just trying to sell to that visitor through your affiliate link, you actually got them to sign up to your email list. They've read a free report you created about XYZ Widgets (or something closely related) and they have started to trust you as a provider of reliable information. You also send them a few more informational emails with gentle pre-sells to lower buying resistance. Finally, you send a killer pitch email that makes an offer too good to refuse... and the sale is made! But that's not the end of it, because you've made the sale, and you can now repeat the process with a different product. Basically, with an email list it is easier to make the initial sale, and much simpler to make repeat sales, as well! Another reason why email lists are extremely popular is that they give your affiliate marketing business greater longevity. If you rely solely on traffic to your website to make affiliate sales, then if that traffic dries up so does your income. However, if you've built up a big email list in the process, then you've still got plenty of potential customers to make you money until your traffic picks back up. Building a list is an absolute no-brainer; if you haven't already started then you need to take action RIGHT NOW! Considering you can try Sendmail for free (and it's extremely simple to use) there is absolutely no reason not to get started immediately. Create a winning squeeze page. The squeeze page is essential for list-building, and will probably deliver you the most number of subscribers to your list. Your squeeze page needs to be clear, feature a bold headline, and really sell the benefits of your giveaway e-book, report, or newsletter series. Use our powerful AffiloTheme to create stunning squeeze pages with ease. Add opt-in forms to the bottom of every article on your site. A discreet opt-in form (basically a smaller squeeze page that you can embed in an article) can generate large numbers of subscribers, especially if the article gets a lot of traffic. Don't sell with every email. I know the temptation is huge to try and "sell, sell, sell" with every email you send. However, this will soon result in lots of people unsubscribing from your list, and your profits will plummet. Instead, focus on giving more free information, but add gentle pre-sells for the "hard sell" emails that you do send. My favorite strategy is to divide my emails into thirds; two-thirds of the emails I send are purely informative with a little bit of pre-selling, and the other third are hard-sells. 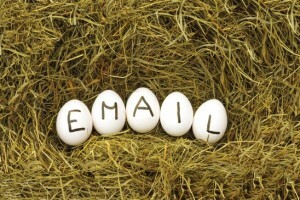 Check out AffiloBlueprint for some winning email strategies. Make sure you're complying with all relevant laws. When email marketing and list building, it is crucial that you comply with all relevant laws, especially the CAN-SPAM Act (check out this FTC guide for details). There are serious penalties that could apply if you don't follow the rules here, so make sure you play everything by the book. As a rule, no good email marketing service will allow you to circumvent the CAN-SPAM Act anyway. Nonetheless, it pays to fully understand the law. Surprise your subscribers with extra freebies. Every so often, I like to send my subscribers little gifts, such as a free mini report, exclusive article, or an eBook. This helps to build trust so that when you do come to trying to make sales, your profits go through the roof. Remember that you can outsource something simple and cheap. A little goes a long way here! So now you know the hidden power of list building, it's time to get started. Sign up for Sendmail here for free, then get to work adding squeeze pages and opt-in forms to your website. List building is absolutely crucial for building a lasting, profitable affiliate marketing business!